Connect with them at EliteMatch.com – Where Singles Meet! At EliteMatch.com, choose from hundreds of thousands of men and women, from the comfort of your home— for just 33 cents per day! EliteMatch.com members get access to exclusive features like instant messaging, private email, live chat rooms, video profiles, personality matching and a fantastic feature you won’t find anywhere else: astrological compatibility analysis. At EliteMatch.com we simplify socializing and make it easy to get to know people you click with! 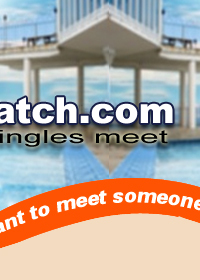 Register on EliteMatch.com now and Receive Free Hand Picked Matches, Profile Support And Recommendations. Remember, the first login is free and gives you full privileges on the site so you can experience what this elite online community has to offer. I Express My Consent To The Privacy And Terms Of EliteMatch.com. Please Enter Your Full Name Below As Your Digital Signature Of Expressing Your Consent To Allow EliteMatch.com And Its Marketing Partners To Communicate To You Via Telephone, Email and Postal Mail. I Express My Consent To The Mobile Privacy And Terms Of EliteMatch.com. Please Enter Your Full Name Below As Your Digital Signature Of Expressing Your Consent To Allow EliteMatch.com And Its Marketing Partners To Communicate To You Via SMS As Text Message From EliteMatch Members And It's Advertisers.